I’m binding Africa. That sounds like it would take forever, doesn’t it? It’s going well so far. 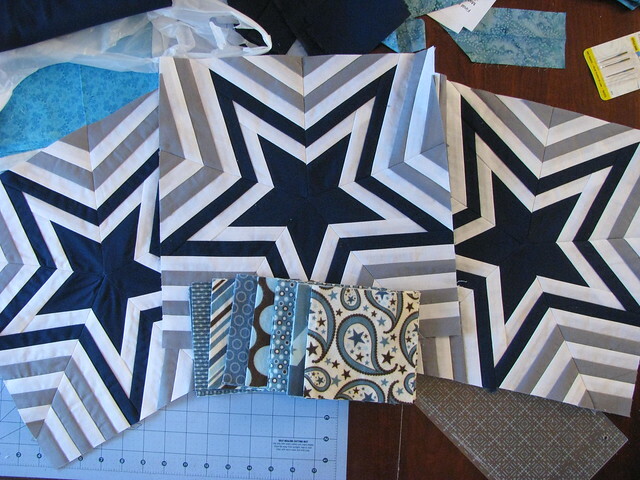 Maybe I’ve changed mind about how to piece the Dallas Cowboys baby quilt. 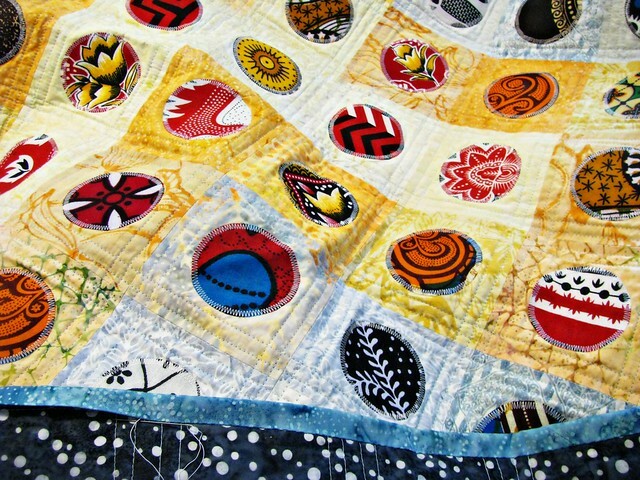 Maybe the whole top should be paper pieced stars, and the little flannel squares can be a small stroller blanket. The bright white of the pieced blocks and the cream in the flannels just aren’t getting along, and I’m thinking of keeping them separated. 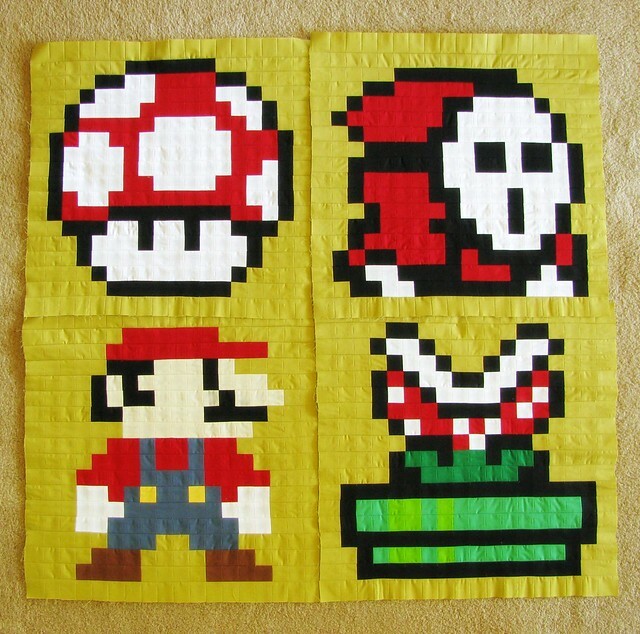 I’m falling behind in the Super Mario Bros. quilt along, but I knew I would from the beginning. There’s only so much time, after all. 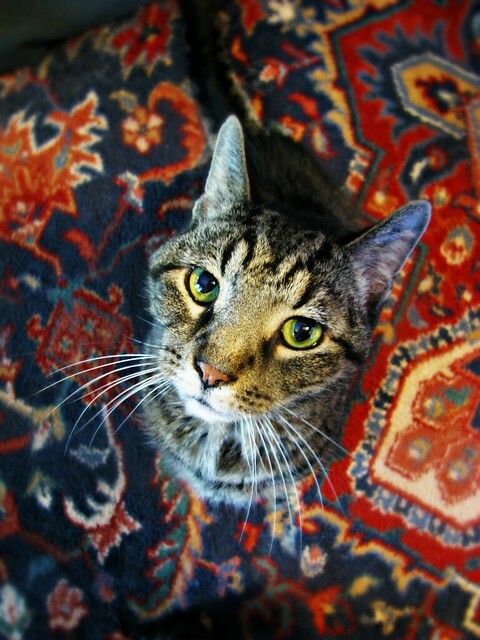 And my 13 year old cat Aslan is spending a few days at the vet’s office. Instead of being constantly underfoot, he’s getting some much needed medical attention. This morning, no one has tried to trip me in the kitchen, and it’s surprising how much a person can miss that. His tech at the animal hospital tells me he’s feeling a little more like himself this morning. I asked, “You mean he bit you?” She laughed. Yes, that’s right. Ah, my sweet/mean cat. Come home and boss us all around again soon. I hope your cat is feeling better soon! I love the stars and the prints with them, I wish they would play nice together. Africa is beautiful and I didn’t even start the Mario along but I want to. I hope he feels better and is back where he belongs soon! Thanks, Laura! He’s home now and he’s eating SO much better! His new diet is going to be an adjustment, but I’m so happy he’s feeling better. Those stars would look so pretty in other colors, too! She had examples with Christmas colors, and shades of yellow on a deep blue background would be lovely. I’d love to see yours if you try it, Missy!